Leading Exporter of brass union from Jamnagar. 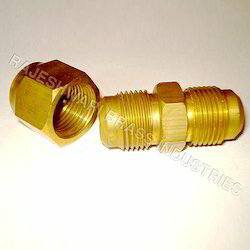 To establish pipeline connections, Brass Union are widely used in different commercial air conditioners and refrigerators. Made using quality brass material, the product range is durable. Being corrosion resistant, the entire range is highly demanded in the market. Further, we also cater to the needs and requirements of customized production of this range.